Preparing in advance for how a cyber-related business interruption loss may play out can help transform the claims process, speakers said earlier this month at NetDiligence’s Cyber Risk Summit in Toronto. 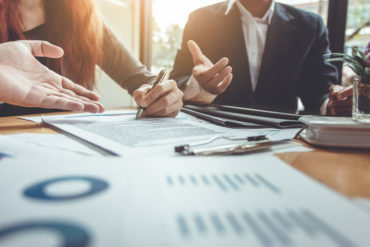 A lot of the “claims frustration” can be avoided if insureds consider simple things like what sort of documents will be required to prove a business income loss, said Simon Oddy, a partner and forensic accountant at advisory firm Baker Tilly. Business interruption loss can be challenging: some companies may not have experienced it before. Those that have likely haven’t experienced it too often. “There isn’t a huge number of business income loss claims rolling around the marketplace, so there isn’t a huge amount of past experience to draw upon,” said Oddy. Consider the example of a client in the wholesale retail distribution space who experiences a ransomware attack and ransom demand. In the example above, the client decided not pay the ransom, even though back-ups weren’t available either. They were down for three weeks in their peak season. “So, you can imagine there was a lot of concern about what was going to happen with their customers and what their profit loss was going to be,” Fidilo said. BI loss assessment and analysis can take a while. “It can be a source of frustration and friction if the client isn’t prepared for that,” Fidilo said.